HOT! 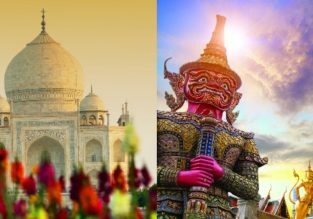 Cheap flights from Southeast Asia to New Delhi or Mumbai and vice-versa from only $97 with checked bag included! Great opportunity to visit India! Flights from Indonesia, Vietnam, Thailand, Singapore or Malaysia to Mumbai or New Delhi, India and vice-versa for only $97 for a round trip!